As an alternative to double-sided laminating, ADSS offers a large selection of single sided laminator machines, and lamination accessories, perfect for book covers, brochures, magazine covers, and more. Single Sided Lamination machines offer a professional laminating result, and are a great addition for laminating shops and small print outfits. These laminator machines produce high quality single sided lamination where one side of the printed material is adhered to the film, while the other side is fully laminated. Double-sided laminating, in contrast, surrounds both sides with the film. ADSS is proud to offer machines from top-of-the line vendor Foliant. These machines will laminate paper up to 20" wide, using microprocessors for accurate, automatic control of speed and temperature. To help you compare the many features of these machines, we have prepared a very useful comparison chart of all the single-sided laminating machines available. Our more popular laminator machines include the Foliant 520T, designed for low volume orders and processing sheets up to 20" wide. It features fast warm up time, user friendly control panel, and a decurling device for keeping the lamination flat. For even larger widths, we offer the Foliant 720HP laminator machine, perfect for single sided lamination for widths up to 28" wide. This lamination machine also comes with a separator device, that separates the laminated sheets as they exit the machine. Browse our extensive catalog of Laminating Machines, including Roll Laminating Machines, Wide Format Laminating Machines and Pouch Laminating machines. Our catalog includes a large selection of supplies including: Coil Binding Supplies, GBC Binding Supplies, and Wire Binding Supplies. 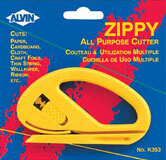 ADSS also carries Laminate Pouches, Laminate Rolls, Velobind Strips, Ring Binders, and more! Follow the links below to browse our online store. We guarantee you won't be disappointed. The Verslam 1300 is a heavy duty laminator that can laminate both single sided and double sided it can laminate up to 13" wide, up to 10mil thick laminating film and 3/16" thick mounting. 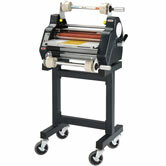 It has the option to turn off the heat on the bottom roller for single sided lamination. You can control the speed and temperature and the high quality silicone rollers bind the laminate to the document producing crystal clear lamination. 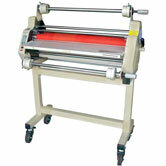 The Versalam 2700 27" Roll laminator performs single sided and double sided lamination. It can laminate up to 10mil film, mount 3/16" and has variable temperature and speed controls to optimize the document lamination for your project. The Fully Automatic Fujipla DryLam ALM 3220 Laminator saves you time on large laminating jobs. It will feed, laminate and trim up to 200 sheets. 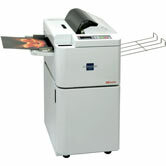 It can laminate up to 12" x 18" size documents with double sided or single sided laminate. Its ease of use and time saving features make the Fujipla DryLam ALM 3220 a must if you are producing large laminating jobs.